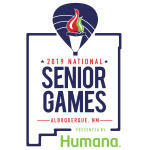 Albuquerque, NM has been selected as the 17th host city for the 2019 National Senior Games. 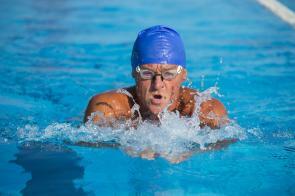 As the largest sporting event for seniors, the mission of the National Senior Games is to promote physical fitness for seniors nationwide; provide year-round opportunities and motivate adults age 50 and older to push themselves while having fun. For more information, visit NSGA.com! Looking for ways to get involved in the 2019 National Senior Games presented by Humana? You’re in luck! The National Senior Games can only achieve success with the help of a strong network of dedicated and diligent volunteers like you! In total, the 2019 Games will need more than 3,000 volunteers to plan and implement 20 different sporting events which are divided into five year-age divisions ranging from 50 to 100+. All registered volunteers will attend a volunteer orientation and typically serve a minimum of four (4) hours. For more information, e-mail Volunteer@NSGA.com or call (505) 210-1930. Cheer on the 2019 senior athletes! From pickleball to cycling to archery, each of the National Senior Games events encourages spectators. Admission to all events is free! The 2019 National Senior Games includes two exciting special events that you won’t want to miss - mark your calendars! Held at Civic Plaza in the heart of Downtown Albuquerque, traveling athletes, visitors, and locals will have the opportunity to celebrate the opening of The Games as the torch flame arrives and ignites the ceremonial cauldron on Saturday, June 15, 2019 at 7pm! This event is a celebration that honors the incredible achievements of the athletes. A part of the celebration is the Parade of Athletes which includes the competitors marching in representing their respective state or country. This event will offer entertainment to people of all ages on Wednesday, June 19, 2019 at 7pm! The qualification period has ended. 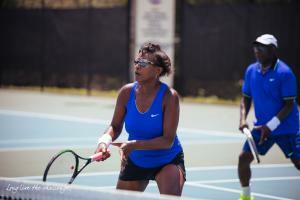 In order to qualify for the National Senior Games athletes must have been 50 years of age or older by December 31, 2018 and must have qualified through a NSGA sanctioned State Senior Games in 2018.